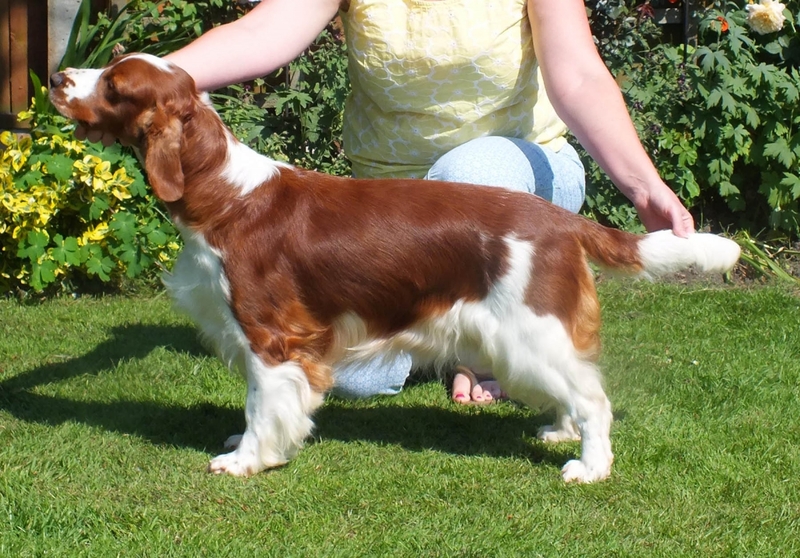 Starting with the three home bred Junior Warrant winning daughters of Sh Ch Glenbrows Picture This JW ShCM, all 3 live at home here at Glenbrows. 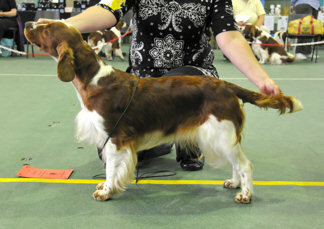 Glenbrows Poetry JW, 2 res CC pictured at 10 months of age winning Best Puppy in Show @ WSSC, Feb 12. Res CC NGA August 2013 handled by our 11 year old son, Daniel! April is now co -owned with, and spoilt rotten by, Sue Taylor. 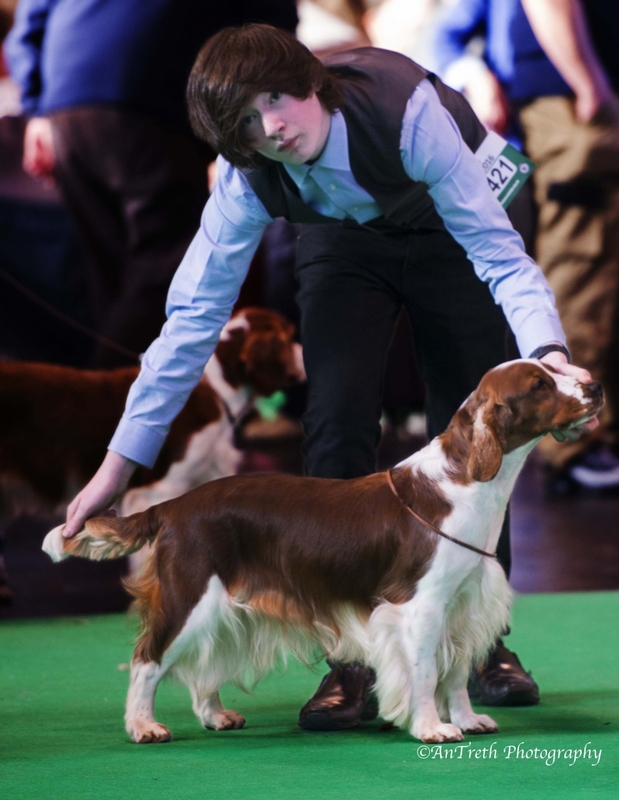 after an absence from the ring after completing her JW, Isla returned to the show ring September 2012 in fine style, she was awarded her 1st CC with Best in Show at the Welsh Springer Spaniel Club Championship Show 2/9/12. The second year running a Glenbrows WSS has been awarded this prestigious award!. 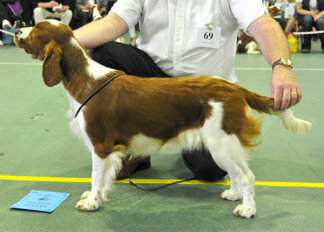 Isla in her first litter has produced the CC Glenbrows Secret with Rockypoint JW. 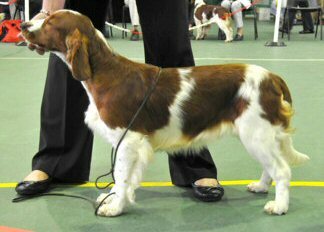 In her second litter she has produced multiple CC winners for our friends abroad, we await her 3rd litter with great anticipation! 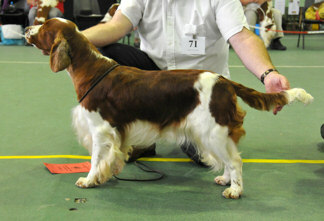 and the star of the day,G Beside Me JW winning her first CC & Best in Show! 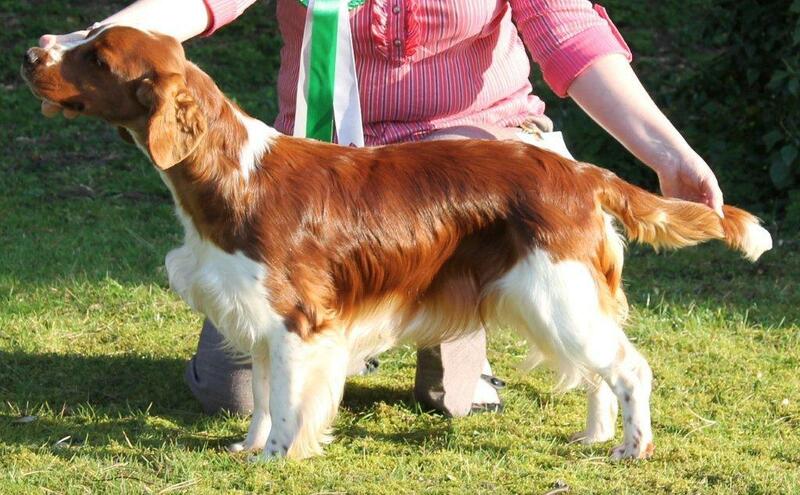 an updated photograph of Glenbrows Future Hope, our lovely Ginny, taken 15/6/13 at Border Union Championship Show (thanks for Linda Tyler for the photo), winning her first ResCC from David Howarth. 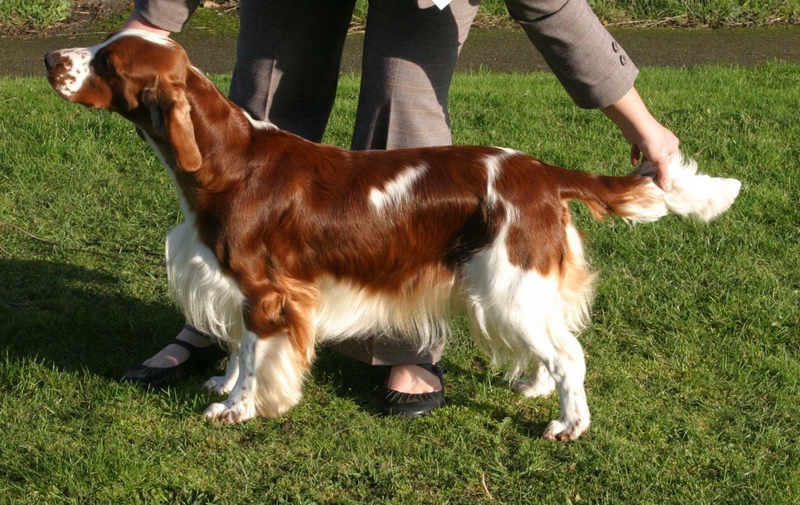 Mabel is the sister to G Poetry, hopefully they will both produce their first litters in 2014.